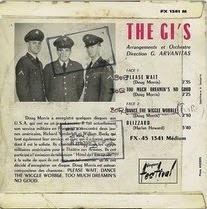 Two picture Sleeve from two ep's made in France in 1963/64 from this US army soldiers group know as the GI's and formed by Doug Morris, Richard Vanderbilt and William Beck. 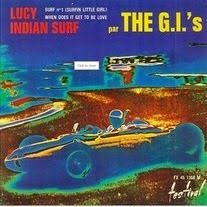 -When Does It Get To Be Love / Lucy / Indian Surf / Surf No. 1 (Surfin' Little Girl). -Please Wait / Too Much Dreamin's No Good / Blizzard / Dance The Wiggle Wobble. 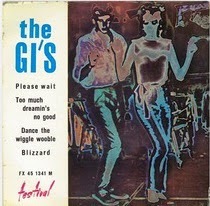 Also they recorded one single in 1963 in Festival Records_Please Wait / Dance The Wiggle Wobble. -Surfin' Little Girl / A Workin' Man's Day Is Never Done. 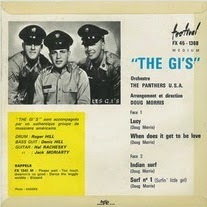 Fargo Records-1964. -A Whole Lot Of Surf / A Workin. Judy Records-1964. 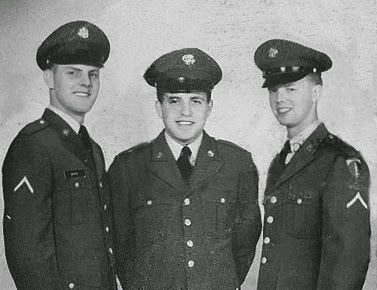 They met during their military service in France. They sing mostly in American military camps for armed theater. 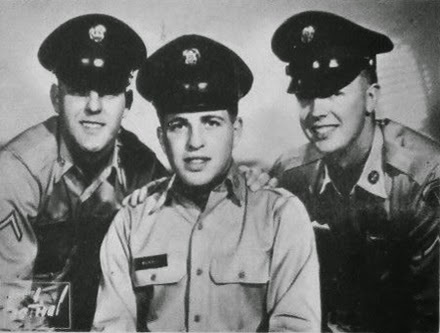 Following an appearance at the french TV, they got a contract with the French's Festival label .When they returned to the United States after their military service, Doug Morris later wrote "Sweet Talkin' Guy" for The Chiffons and produced many Laurie label acts.